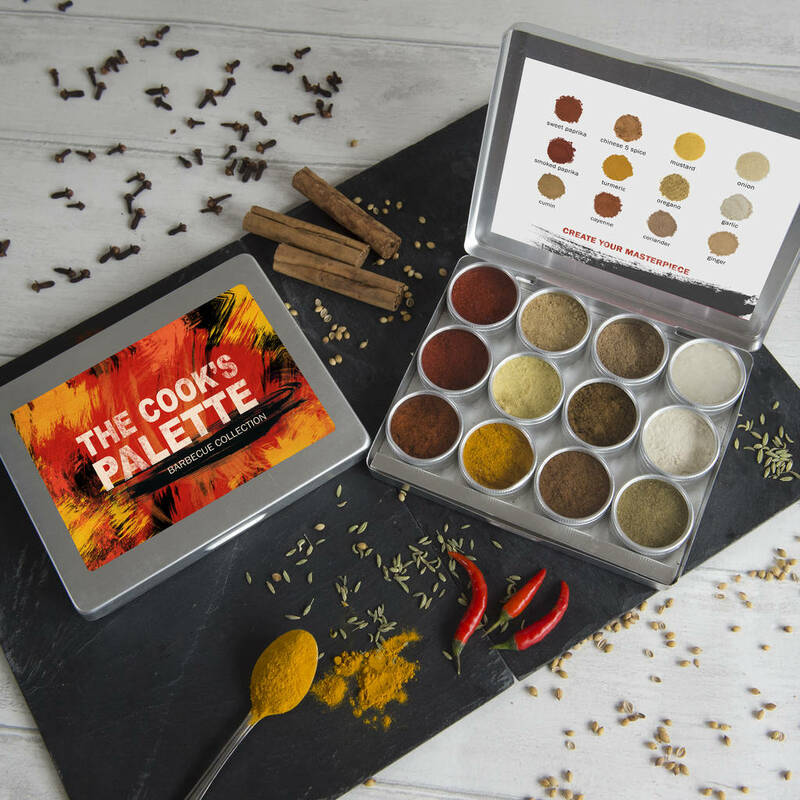 Celebrate the art of grilling with this beautiful sampler palette of 12 authentic spice powders used to create sizzling barbecue flavours. The Cook's Palette Barbecue Collection takes you on an exotic journey of aromatic spices from around the world. 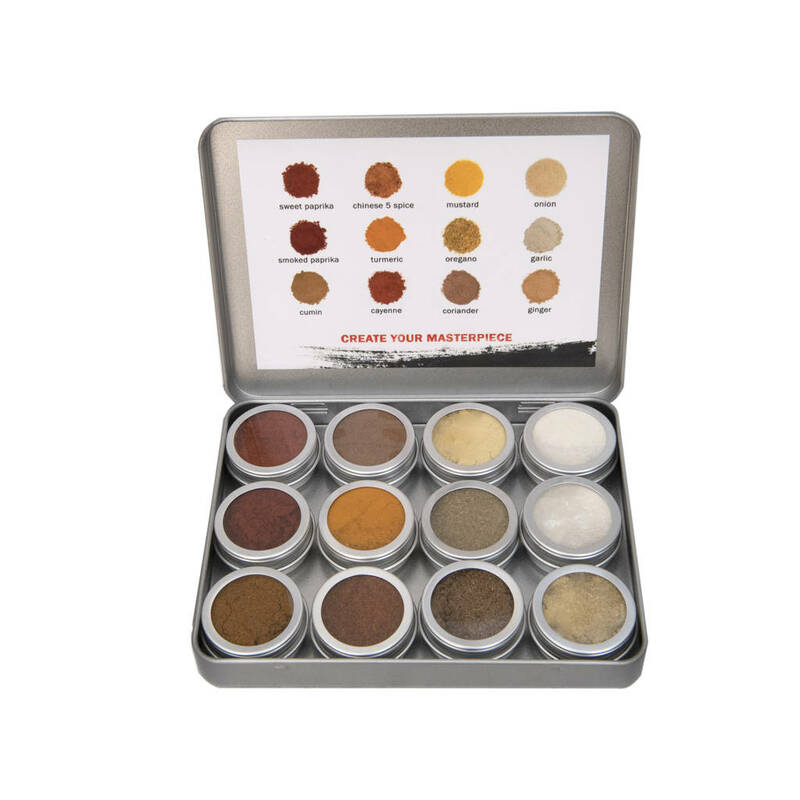 This fun kit contains twelve individual spices with recipes for creating five mouthwatering rubs, from classic smoky barbeque to the flamboyant flavours of Mexico, just measure out the spices and add salt and sugar. Spice up summer gatherings and take your guests on a culinary journey round the world as you wow them with an alfresco feast. The collection contains a laminated recipe card with recipes for the following barbecue rubs: Smoky Barbeque, Mexican, Morrocan, Asian and All Purpose rub. There are enough spices in the colletion to create 6 portions of each rub. Alternatively budding chefs can use the spices to design their own rubs. 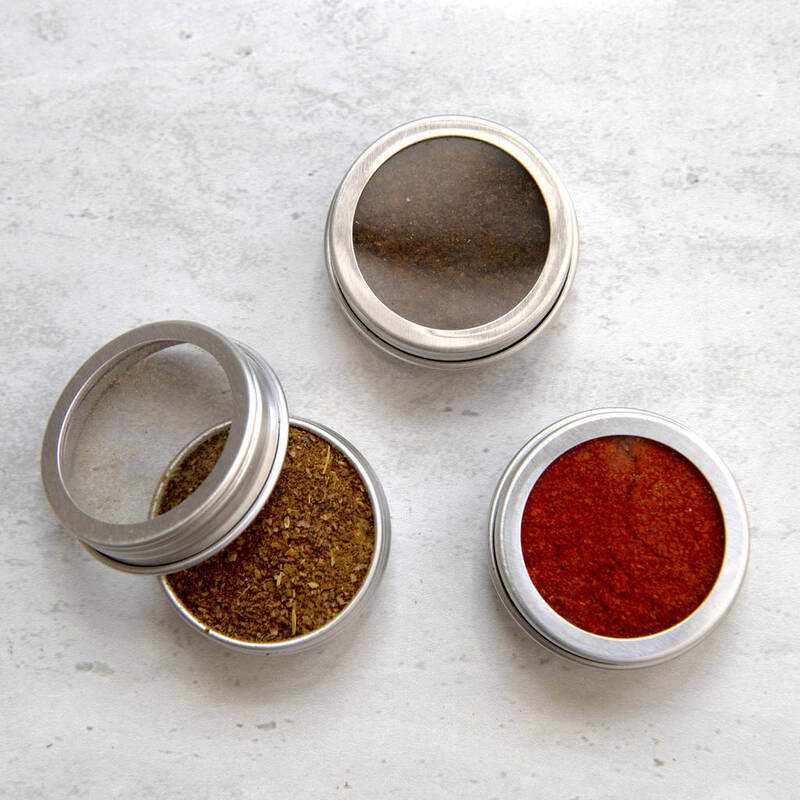 Each powder is stored in an individual round screw lid tin with a clear lid, and beautifully exhibited a silver gift tin. 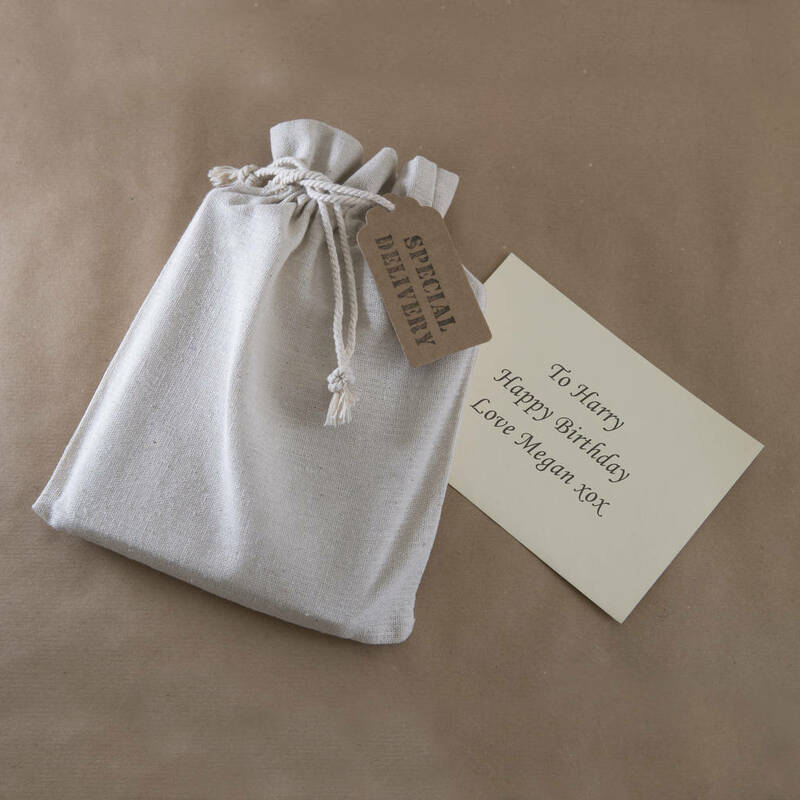 This gift will fit through a letterbox. Make a good impression with this unique gift, perfect for barbeque kings and spice enthusiasts. 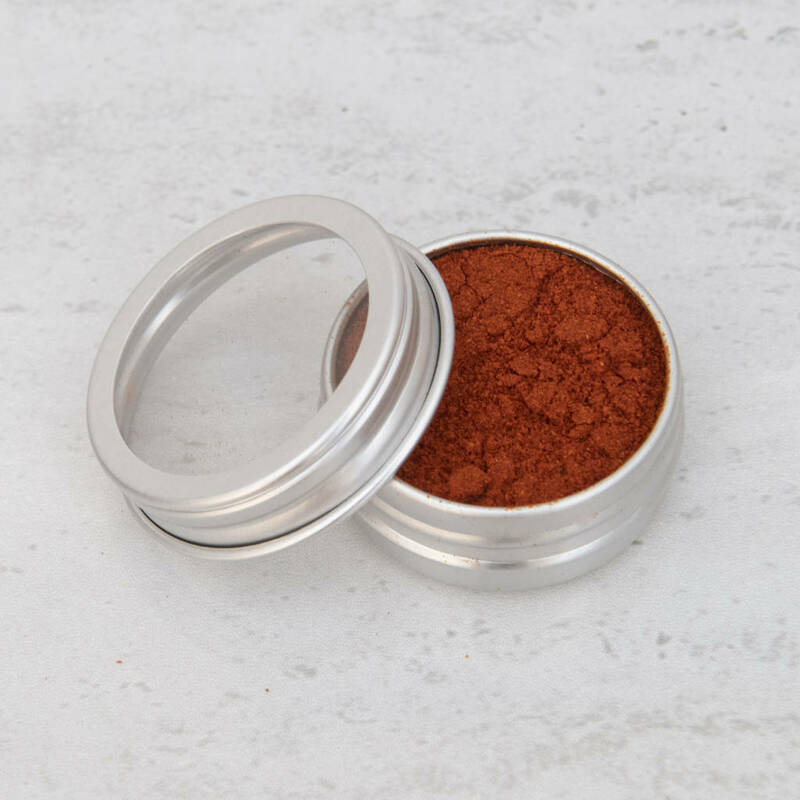 pure spice powders with no additives.